Geneva is an exciting and very international city. Because of the many international organizations you can meet people from all over the world. It is worth sitting in the café and listening carefully how many different nationalities are represented. In addition, the city is characterized by its scenic location at Lake Geneva (or in french "Lac Leman"). Sitting in the park on a warm summer evening, with your feet dangling in the water and enjoying the view of the alps is a real highlight of your trip to Geneva! Fastest and cheapest option: the train. The journey takes only 7 minutes to Geneva main station (in the city center, called "Genève Cornavin") and is free. Just remember to take your ticket before (!) you exit from the baggage collection area (otherwise you will have to pay for it, if you take it on the platform, tickets are purchased on the left side of the exit)! The ticket remains valid for 80 min and allows you to take the train, tram, bus and the boats on the lake. 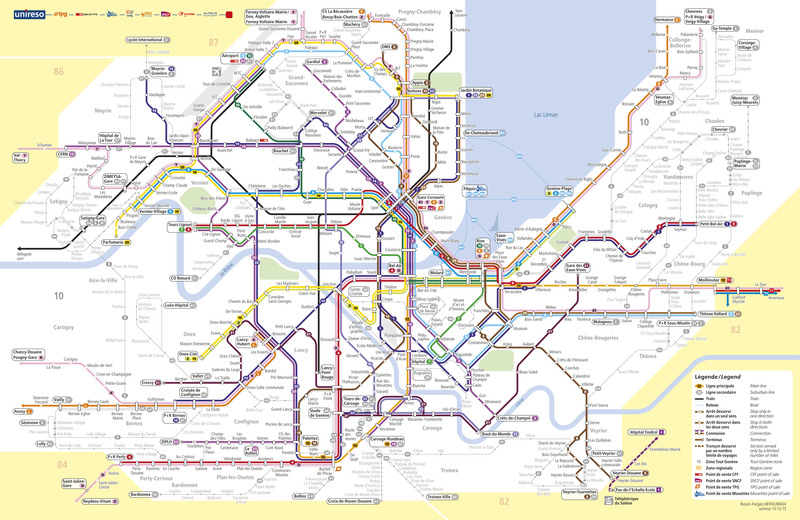 Once you arrive at Geneva Main Station, many buses and trams go to different directions. Otherwise, you can also take Bus 5 or 10 from the airport to go to the city center. It will take you about 30 minutes to arrive at "Geneve Cornavin" (main station). The last option is to take a taxi or a similar car rental, but it is a lot more expensive! It will cost you approximately 30-40CHF depending on where you want to go in the center and on the traffic jam. The city is easily walkable and mostly easy to get around whith public transport, but there is a free bike rental as well. A single Tpg-ticket costs CHF 3.- (valid one hour) and a day-pass (Journée tout Genève) is CHF 10,- or 8,- (from 9 o'clock). On weekends there is the option for two persons to buy a day pass for only CHF 10-.! Tpg=Transports publics genevois. 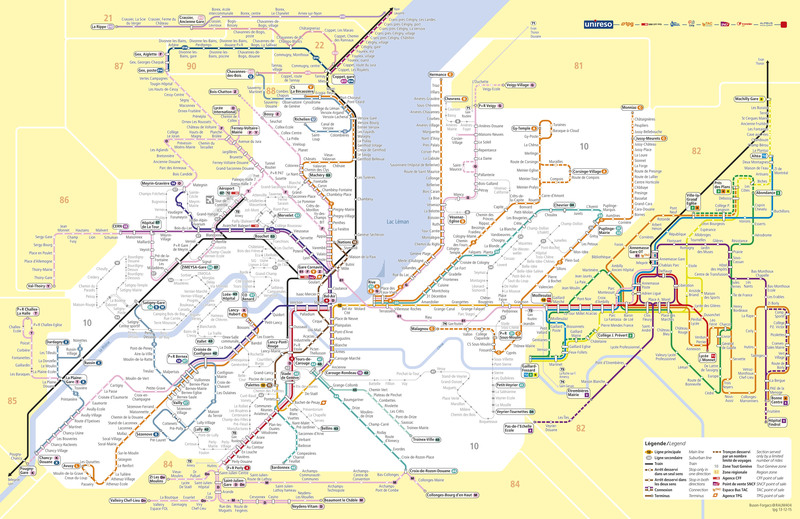 It includes: Tram, bus, mouettes (the small yellow boats), trains as long as you stay in the canton of Geneva. Useful : you can also buy a ticket from your phone, by sending "tpg1" to 788 for a normal price ticket. 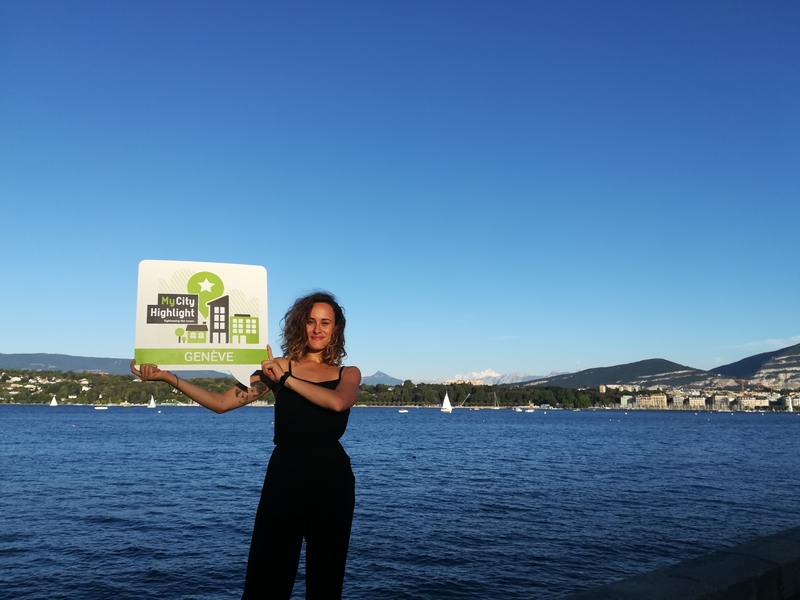 If you're staying in a youth hostel, a camping or a hotel in Geneva, you will get the "Geneva Transport Card", which allows you to travel for free on public transports! - Food specialities of Switzerland: Cheese Fondue and Raclette, Rösti (fried potatoes) and of course Swiss Chocolate! - Food specialties of the city: Geneva longeole (pork and fennel sausage), Swiss cardoon gratin (it's a vegetable that we eat mostly at Christmas), prune tart (in September), fish from Lake Geneva (perch for example), Carac (a green pastry with chocolate from the French-speaking side of Switzerland). And let's not forget the Chocolate cooking pots with marzipan vegetables for the Escalade Fete in December! - Typical meal times: Lunch is served approximately from 12.30 p.m. to 2 p.m., dinner from 7 p.m. to 9 p.m.
- Rue de l'École de Médecine: many bars are in this street, it is the meeting point for many students. - There isn't a special neighborhood for that, you can find nightclubs in the whole city. Check La Parfumerie, La Gravière, l'Usine, L'Audio Club or for a fancier evening, Bypass and Java. Also recommendable: the Chat Noir in Carouge! Nightclubs : from 11pm to 5 am. RUES BASSES (Rue de la Conféderation, Rue du Marché, Rue de la Croix-d’or and Rue de Rive). Here you will find the most common brands, such as H&M and Zara for clothes, book stores and souvenir shops. Additionally: Swatch for swiss watches and Auer and Rohr for chocolate. Monday, Tuesday and Wednesday, 9 a.m. to 7 p.m.
Friday 9 a.m. to 7.30 p.m. Smoking is prohibited in restaurants. Dogs are allowed in most cafés and restaurants. Apart from that there are many places in Geneva where you can get free Wifi: in parks, on the lake shores, in squares and in some museums. It is provided for free by the city of Geneva: the name of the Wifi is ((o)) ville-geneve. To access it, you need to select this Wifi name, and you will be redirected towards a webpage where you need to enter your phone number. You will receive a text message with an access code, which remains valid for 6 months. Otherwise, many restaurants and bars offer free Wifi to their customers. There is also Wifi at the train station, where you can log in for free for 60 minutes (name: SBB-FREE). You can also rent bikes at the train station: http://www.rentabike.ch/en/stations. A very seasonal and traditional souvenir - only available in wintertime before the Escalade-Festival! The "Marmite en Chocolat" is a pot made from chocolate, filled with vegetables from marcipane. It commemorates the events of the Escalade (see highlight). A perfect souvenir for history AND chocolate addicts! 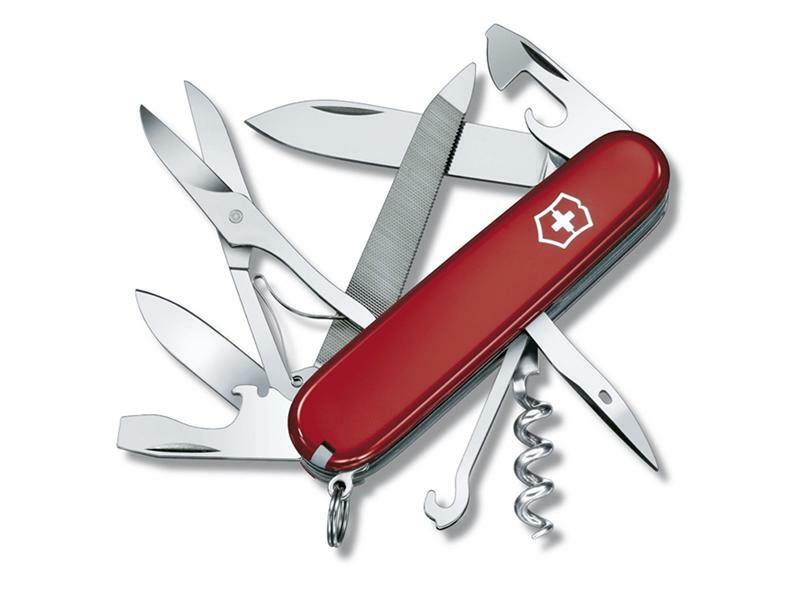 The Swiss Army Knife is the best known and best-selling pocket knife in Switzerland. The special feature of the Swiss Army Knife is that besides a blade further tools are integrated into the blade. Almost all the cows in Switzerland wear cowbells. 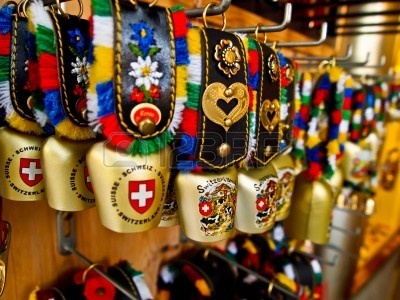 Therefore, the small Cowbells are a popular souvenir. Available in almost every souvenir shop. Chocolate and Switzerland - a perfect match! Good chocolate can be found in all supermarkets, but there are a lot of beautiful small stores within Geneva. Don't miss Favarger, Auer or Rohr! 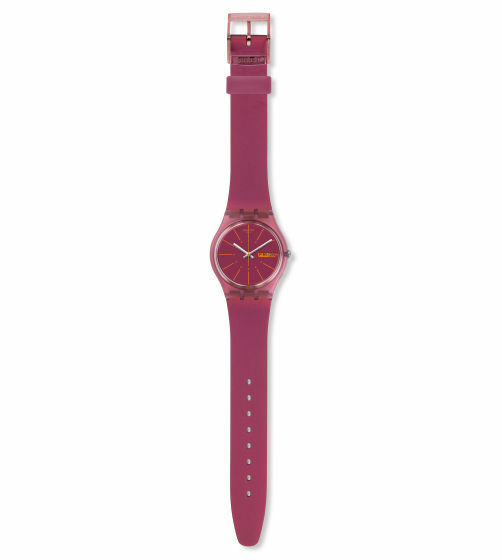 The idea of "Swatch" was to create a Swiss Watch that should be affordable for everyone. (Swiss + Watch = Swatch) The perfect souvenir if you want to shop a watch but not spent a fortune!